Gas or diesel equipment is welcome at the RPM Fleet Center. 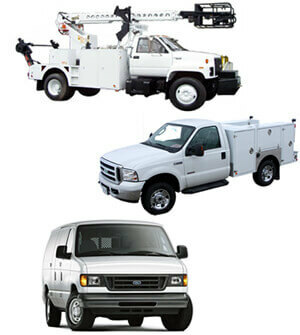 Fleet services are always treated with our “Priority Service”, to keep you moving in the field. We understand, when your fleet is out of service, so are you. Along with our priority service you receive a complete bumper to bumper inspection every time your fleet vehicles are in for service or maintenance. We provide complete inspection reports also with suggestions for upcoming services and any needed repairs to the vehicle. We will also set up a future plan and timeline to help you manage your fleets service needs, complete with email or snail mail service reminders tailored to each vehicle. From complete transmissions and engines to injection pumps and plugs, we can help keep your fleet in top shape and ready for the road to service your customers.